Be ready for adventure with the Columbia Boy's Youth Take A Hike™ Softshell Jacket. Gear him up for a family hike in this insulated jacket. It features stretch fabric that guards against surprise drizzles and spills. And, it's windproof with elastic in the cuffs and hem help seal out drafts. Ready for whatever comes around that switchback, this softshell keeps him warm, dry, and protected. Be ready for adventure with the Columbia Boy&apos;s Youth Take A Hike™ Softshell Jacket. 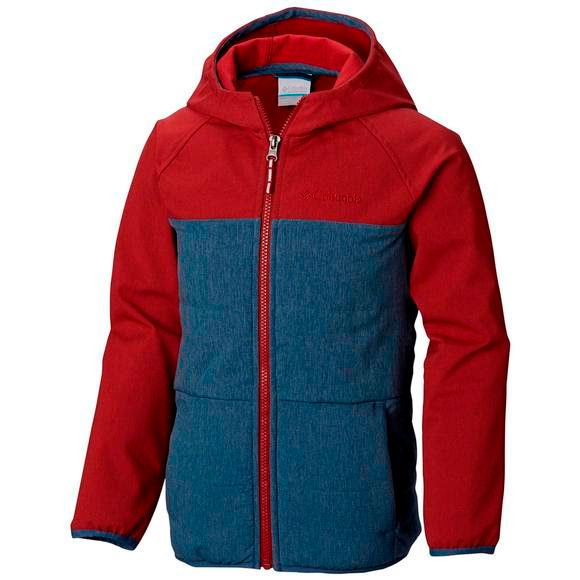 Gear him up for a family hike in this insulated jacket. It features stretch fabric that guards against surprise drizzles and spills. And, it&apos;s windproof with elastic in the cuffs and hem help seal out drafts. Ready for whatever comes around that switchback, this softshell keeps him warm, dry, and protected.